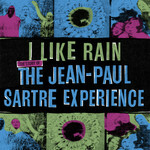 The comprehensive Jean-Paul Sartre Experience collection - I Like Rain: The Story of The Jean-Paul Sartre Experience, is a triple LP box set with bonus tracks showcasing the group's very best. Now you can experience the Christchurch four-piece's full story, with this set featuring all of their collected studio recordings plus an extensive and entertaining oral history culled from hours of interviews with the members. Emerging with one of the definitive songs from the scene, I Like Rain, The Jean-Paul Sartre Experience began as a band filled with charm at every turn. Making the most of limited recording budgets to find inventive melodies, harmonies, and percussion, and combining them into unique and oddly joyous kiwipop gems. Fully re-mastered and re-packaged with aching care by Fire Records, I Like Rain: The Story of The Jean-Paul Sartre Experience will allow old fans and new audiences alike to be able to enjoy the sound of what makes The Jean-Paul Sartre Experience so special. 1 "Fish In The Sea"
6 "Let There Be Love"
9 "All The Way Down"
14 "Let That Good Thing Grow"
16 "Waste of Time (Masked and Taped)"
17 "Masked and Taped (Masked and Taped)"
18 "Peaches and Cream (Masked and Taped)"
19 "Suzi Lustlady (Masked and Taped)"
20 "Fly (Masked and Taped)"
21 "Fatness (Masked and Taped)"
4 "I Believe In You"
6 "Still Can't Be Seen"
12 "Up In The Sky (Breathe Single)"
15 "Shiver (Ray of Shine Single)"
16 "Into You (Freegard Mix) (Into You Single)"
17 "Into You (Stars On Into You Mix) (Into You Single)"
18 "Disappear (Into You Single)"
19 "Holdtight (Into You Single)"
20 "Own Too Feet (Into You Single)"